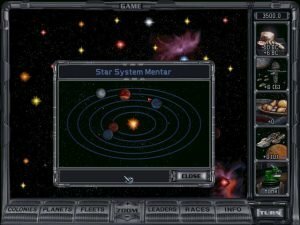 Like its predecessor, Master of Orion 2: Battle at Antares gives you a choice of races, an expansive technology tree, and lots of opportunity for interstellar plunder and pillage. 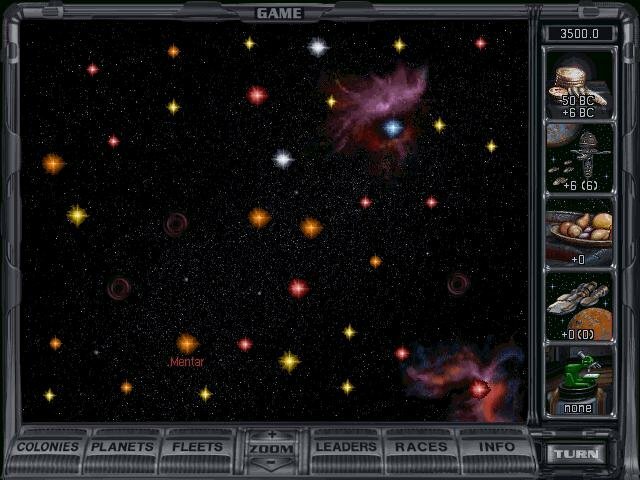 Also like the original, the game combines exploration, discovery, combat, and micromanagement into a blend of strategy gaming which has proven quite successful. 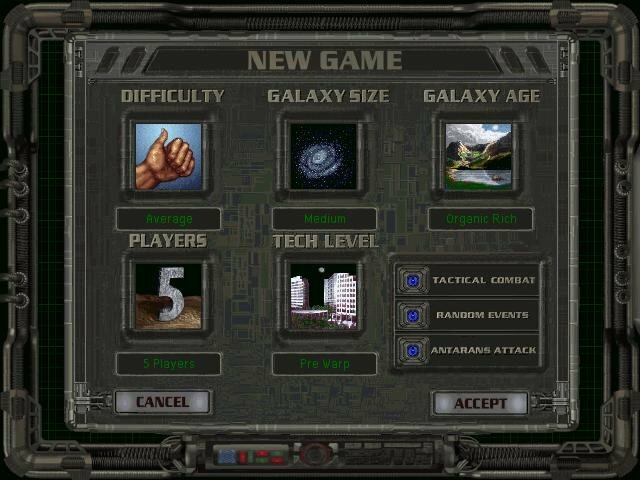 Unlike the first game, you share your galactic ambitions here with some of your friends; multiplayer capability finally makes its way into this part of the galaxy with this release. While multiplayer is perhaps the most conspicuous new feature in Master of Orion 2, for most gamers the extensive changes in resource management, ship design, combat, and the interface will be more important. Things have gotten more complex and more detailed. Gone are the fleets of 32,000 generic ships; you now have fewer ships of much more detailed and involved design. Food is now a production item; managing hunger on many different systems and building enough freighters to shift it from about are important responsibilities. 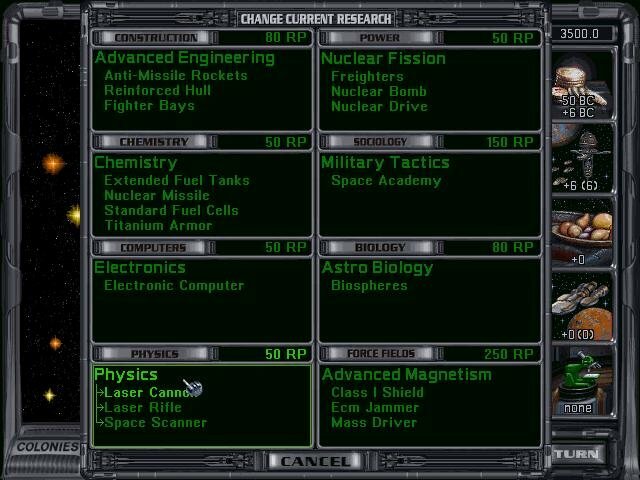 Leaders are available, to manage systems or to influence combat. 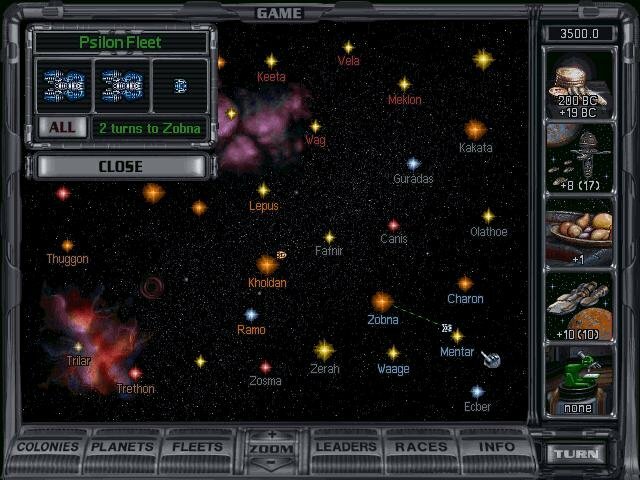 Much of the game remains familiar to anyone who has played Master of Orion. 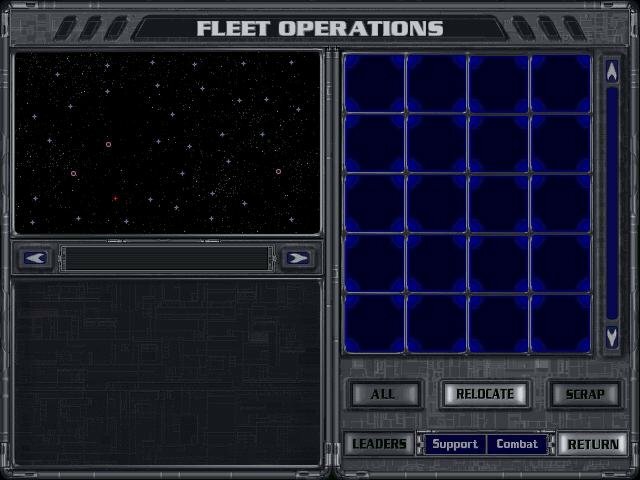 Movement is pretty much the same, and while combat has gotten more complex, with shield and weapon arcs, boarding actions , carriers with starfighters, and the like, ship design is still a struggle. 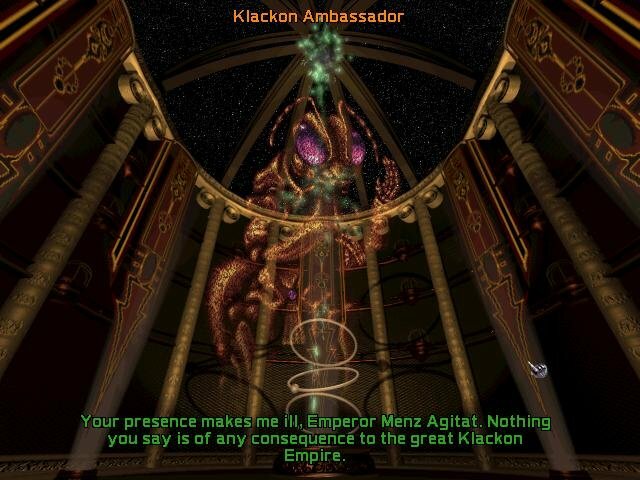 Diplomacy works much the same as in the original, though with some added options. Every decent terran planet seems to be guarded yet again by space crystals, amoebas, or dragons. 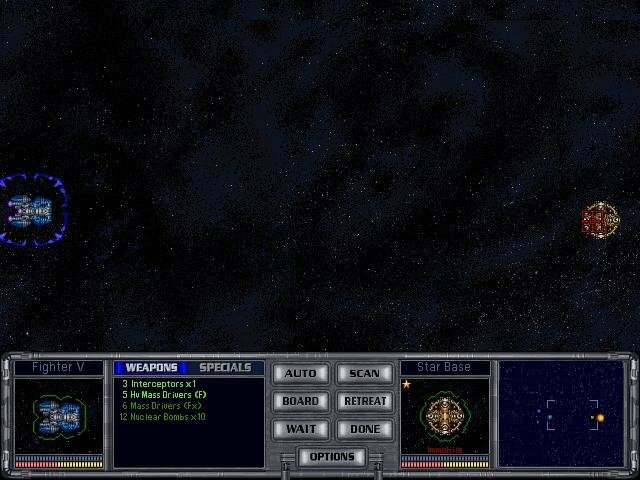 You can expect to face the same sorts of intransigent, unfaithful neighbors, wandering space disasters, and the odd beneficial happenstance in this game as you did in the original. Technology trees are now known, and there are many ways to get all the tech you need (perhaps too many). 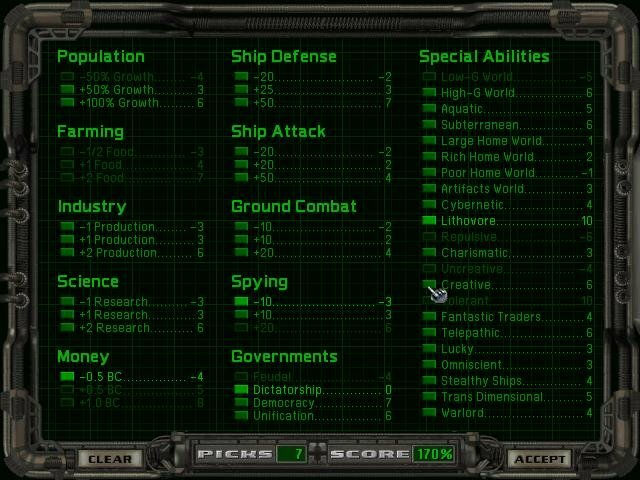 It is quite entertaining to build custom-designed ships, and fighting battles is a blast, assuming you aren’t grossly outclassed. The thrill of discovery and exploration is there, and nothing quite matches the feeling of finally defeating that damn Guardian. 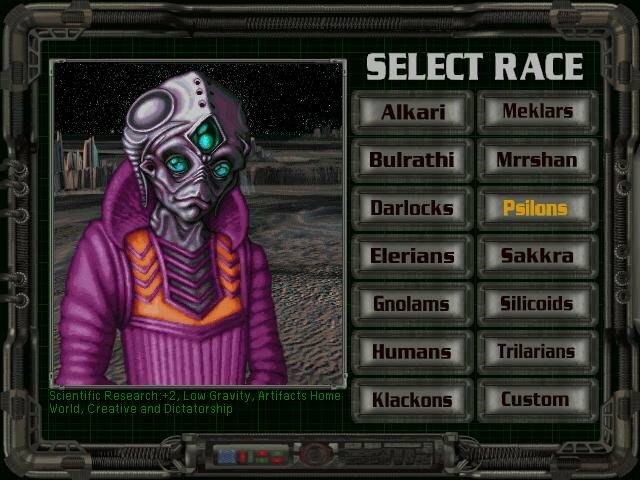 There are less enjoyable aspects to Master of Orion 2 as well, however. The AI opponents still seem to cheat; either that, or they are viciously efficient. The AI will always expand and develop at a rate which seems impossible to support from their production base. Similarly, no matter what your tech level is, there always seems to be at least one race ahead of you. 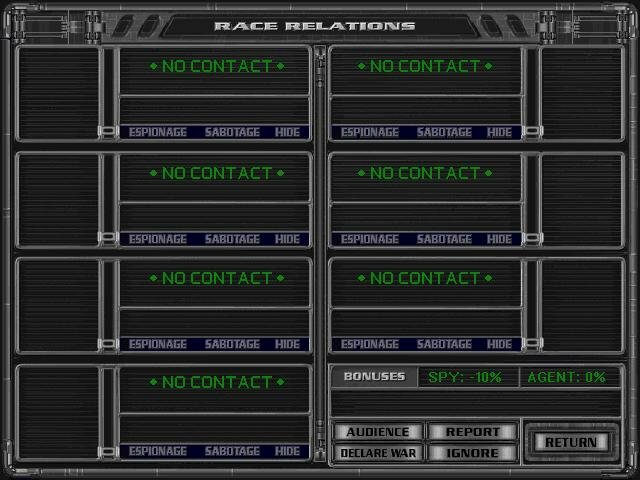 More bothersome, the racial customization option is woefully unbalanced. 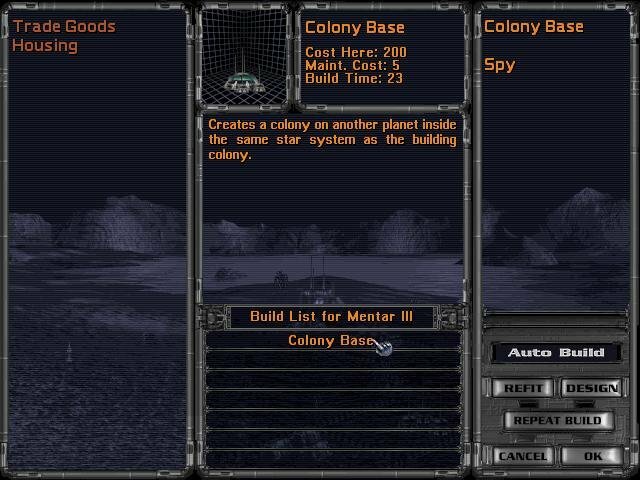 Options such as Creative, which gives a race all the technologies in a specific subfield, or Lithovore, which completely obviates the need to farm on any planet, confer huge advantages. That’s not really bad, except that these advantages are so tempting you begin to feel foolish not taking them. 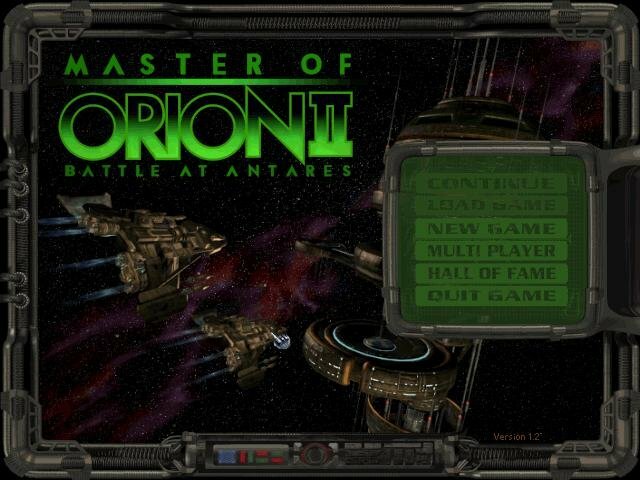 Overall, however, Master of Orion 2 delivers most of what was expected for it. 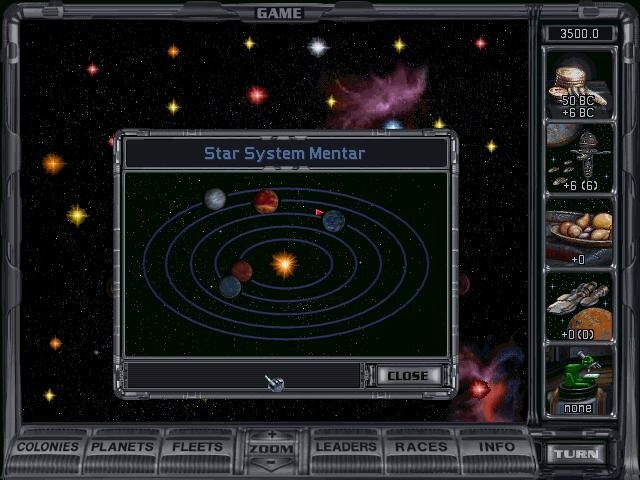 There is so much to do in this game that if you like space strategy, you’ll have to have it. 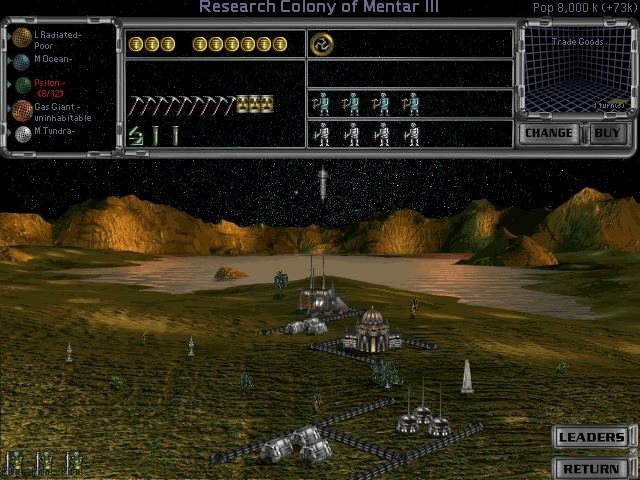 As a sequel it’s not as good as, say, Civilization II, but it does have plenty of potential.